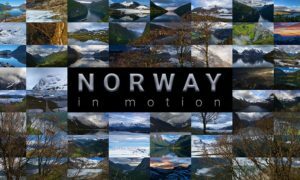 Winter, spring, summer and fall, all four seasons in Switzerland united in one film made from 7,000 shots using LRTimelapse. After more than a year of work the third and so far most elaborate time-Lapse film made by Schlatter Christoph is out. I planned my recordings meticulously and even had to write a small script, because I had too many ideas, which I sorted out and later realized. The action didn’t always come as desired – no snow, no fog, covered instead of a starry sky. The result is a five-minute-long short film with the most beautiful shots I took. It won’t be long before nature is no longer to be found like this. Steady climate change, environmental influences and mankind. All factors that lead to accelerated change. Today we move faster, want to discover more, want to enjoy lonely moments and push further and further into the untouched nature. Well-known places around the world are wildly shared, shared and commented on social platforms. In our search for something new we launch photo drones, make selfies in the most daring places. I am also part of this world. Therefore:”Take nothing but pictures, leave nothing but footprints” based on the model of the oldest national parks in the world. And now enjoy my film!